Photo Credit : The Big Splash postcard by LimYap Collectibles. When you mention Big Splash now to the youngster, they may ask you “Where ah?”. It is of course located at the East Coast Park. 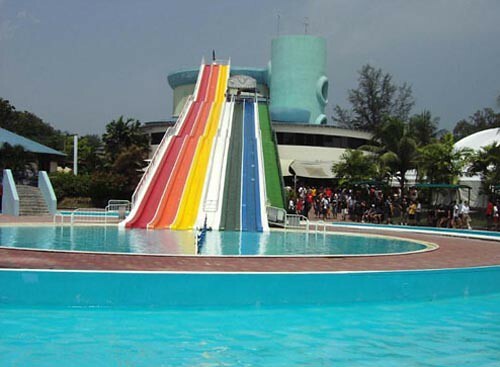 Not surprising as it now not only lose its colourful slides but also its past glory. 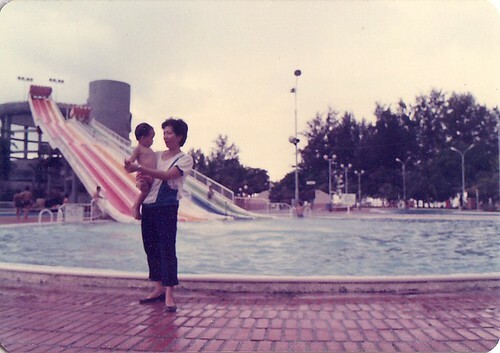 Probably built in 1976, and it was then Singapore’s first water theme park. Not only that, the top slide was about 7 storey high too! Though in recent years whenever I passed by the Big Splash, all I see is the Seafood International lobster sign – the colorful slides view seems to be a thing of the past. Though it tried to have a seafood restaurant, a mini indoor golf – Lulliput, etc… it still cannot revive this seawater aquatic complex. All these were after the major renovations in 2002 and now, another major refurbishing is going on. What will happen after… we won’t know…. The Big Splash site is still around but not updated. It is a wonder why the Wild Wild Wet (WWW) in Downtown East (Pasir Ris) can survive and yet the Big Splash cannot (as a water-themed park). Maybe its because the WWW is only one small part of a bigger concept, with Escape amusement theme park, chalets, bowling centre and shops/restaurants contributing to a complete holiday resort experience for visitors. It could be some of the amenities like WWW and Escape are losing money but then their loses could be covered by profits made from rental of chalets/shops/restaurants so the resort is still operating viably as a whole. Hmm… I must ask Walter, the marketing expert about this. There was also a proposed water theme park opposite Laguna Park in the 1970s. It was meant to be a paid swimming area – just wonder why would any one pay when the sea was next door! 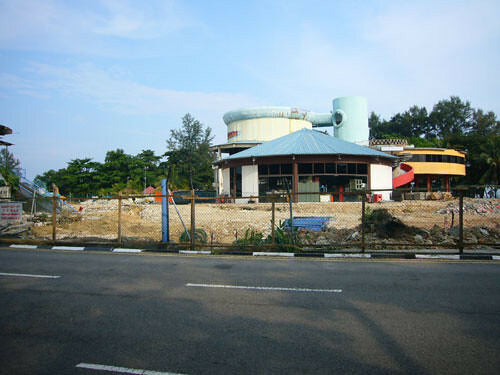 The investment failed and the big pond (next to Laguna hawker Center) was left vacant until a foreign company came along with a concept of “water rushing through the tubes”. The idea was dropped and the pond was left vacant for many years until parts of the pond dried up. Then someone came up with the latest craze; water skiing. You are right Peter. That Wet N Wild park failed probably due to some accidents occurring there right? It’s like “Tube” shape slide with a number of loops. Also it’s costly to visit that place then. It didn’t survive for long. Daddyto3 – The slides were gone but part of the body structure still there. Probably they are going to have a shopping mall incorporated there too. Who knows, they may put back the slides later on…. Victor, I walked past the Wild Wild Wet in the last June holidays. The business don’t seem as good probably with the construction still going on. If I am not wrong, WWW is an NTUC project like Snow City in Jurong East. In the case of the latter their business model is based on a subsidy from the parent company. This means the price of the entrance ticket is greatly reduced to only its customers. 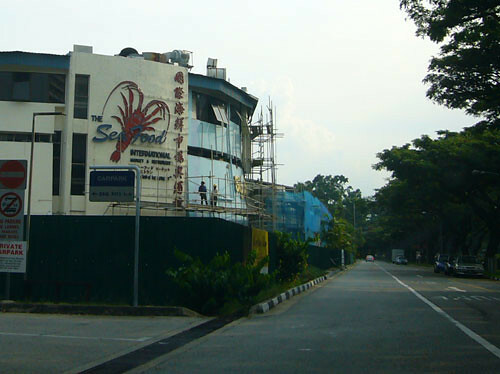 How about the one at Jurong; next to Japanese and Chinese Gardens. That one closed down even earlier. That was Snow City by NTUC Income Chun See right? WWW was from NTUC Club. Fantasy Island was a private sector initiative. Without subsidy or funding for the operations, I doubt whether any theme park in Singapore can survive. The huge capital investment and operation costs cannot be sustained by ticket sales alone. Even HK Disneyland also received govt support but already the financial strains are there. Which dome shaped building at Meyer Road? You have the link to the photo Peter? the dome is in the picture u got – in the background – but if u got the seaview of the hotel perspective, you can see it so visible from the seaside direction. But such dome shaped building is rather common in the past. I think you did surf that Skyscraper forum – there were some dome shaped villas as well in the past shown in some of the threads there. I spent 3 years of my childhood in Singapore, returning to australia when I was 10 in 1979. I am planning to take my family on a holiday to Singapore this year and thought my boys would love the Big Splash as I have such fond memories of it. Reading this site, I am wondering what has happened. Are there still water slides there? The Big Splash is no longer around. The slides were removed and no more water slides. In place of it, some eateries, restaurants and ‘playground’ are setup there. Dunno if anyone’s still reading this thread but I too am very sad that the BS is gone! There’s nothing like good childhood memories and have to agree that I’m dissapointed I can’t take my kids in a year or two. It was great watching the video, I almost forgot about that stairwell! I was last there in 1981 when I was about 7. Hi Rod B, guess you are not the only one feeling sad that the Big Splash was gone. It had brought much fun and joy to many of us students or families. When it first started, many of us got to queue up to have our turns to slide down. Just the day before I had a dream about this Big splash. I hope to visit it again till my mum said it has been demolished.. I AM CRYING !!!!! WHY did it turn into a commercial food place ?? !!! Where are all my memories ????? Well, as a Singaporean in my thirties who stayed in the East since birth, I have heard about Big Splash when I am young. But never been there to use the slides, even before its demolished. Now, that its revamped, i have been there at least once a month. I guess the reason for the removal of the slides is that not alot of people will visit the slides often (like at least once a month) and from business point, how to survive? I heard from my friend who visited Big Splash regularly since 7 years old that there was a time that Big Splash was open free of charge to public (for about 5 years?) and still its not packed with people. I lived in Singapore from 1976-1991, when I moved to the USA. I have very fond memories of big splash. Was a fun place to go for a swim on a hot Singapore day. Loved going on the slides, although I went on the tall one only once with an unexpected result (Don’t worry I didn’t hurt myself ;)). 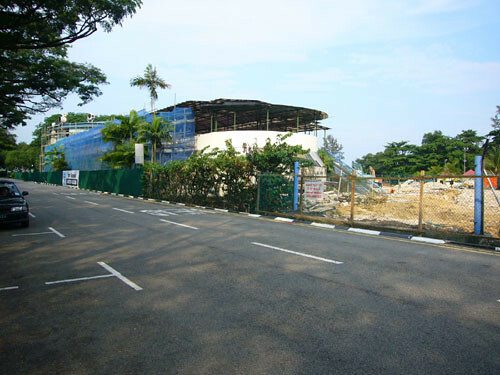 It’s a shame that what was once a part of my life in Singapore has now disappeared. Hi guys – I found some more pics of the big splash, even though they’re not mine (google search). We should start a gallery site of all our old BS photos!! I’ll have to ask my parents. This one really shows how high they were – my memories were right! Yeah, when I was young, I went to Big Splash, and I’m only twelve as of this day! 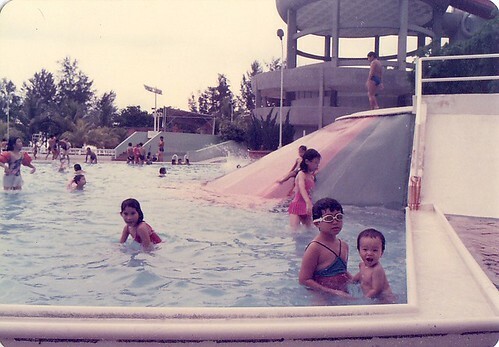 I never got a chance to ride on those big slides…only the pool that was salty! Now, it is Playground@Big Splash, so I probably think when you ask the question again, they’ll know the answer. i stil remembered those secondary sch days year ’98-’99 where i ‘cabut’ skool every friday to go to BS, so dat i culd ‘warm-up’ my stunts first before my other school frends comes. side-stand, front-stand, twist, spider one handed, n d great tumble are some of the stunts dat we people gave name to. dis was d closest feeling to surfing in sg back den.. i always tot it was a gd idea to hav dis sport in d extreme category. i miss BS..i miss being d wannabe surf dude..
i dunnoe wat happen to all other aspiring surf dudes..miss u guys man..probly u guys r already in ur late 20s-30s..
wherever u r..we rock BS hard! peace ppl..
Was looking up hibachi for my grill and came across Benihana (Owner Aoki tried to bring big splash to the US after visiting Singapore). Remembered some crazy coolness at the Big Splash Singapore. They converted the outer pool to saltwater and stocked in with giant groupers for the seafood restaurant. Chef would come out and net or spear the fish and serve it. Gotta love the 80s. 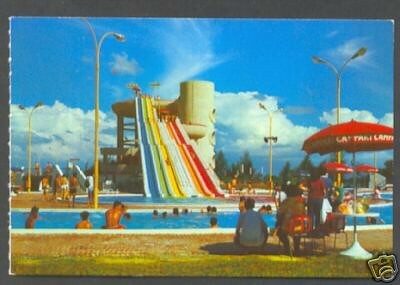 My friends and I visited the Big Splash many times during the late seventies. We all worked in Northern Sumatra and staged through Singapore many times and one of our favourite places was always the Big Splash. The long slide was magnificent. We always tried to see who could get the furthest and even get to the wall on the other side of the pool. We did this by lying down at first to get speed up and just before the end sit up so you met the water on your backside. Sitting at the correct angle would take you easily to the other side and the wall, as you bounced along on your bottom. Great fun !. Now i am really prompted with all your producing capabilities and in addition together with the design on your blog site. Is this fact the paid for subject matter or did you personalize it yourself? Anyway be within the superior quality crafting, it’s rare to check out a great blog exactly like it nowadays Bulk Email Messaging. I’ll immediately take ones rss feed when i are unable to locating your current e-mail registration weblink or maybe e-newsletter support EMAILER. Carry out you’ve any kind of? Be sure to let me understand so that I could register. Appreciate it.